Billy Baker, 45, pleaded guilty to aggravated possession of meth. An additional charge of driving under suspension, a first-degree misdemeanor, was dismissed in accordance with Baker’s plea deal. Paige Roberts, 27, of Ansonia, was accused of probation violation. Roberts was ordered to pursue treatment in lieu of conviction on charges of theft and passing bad checks, both fifth-degree felonies, in 2015. Richard James, 28, of Greenville, was sentenced to 60 months probation on charges of aggravated possession of methamphetamine, a fifth-degree felony. 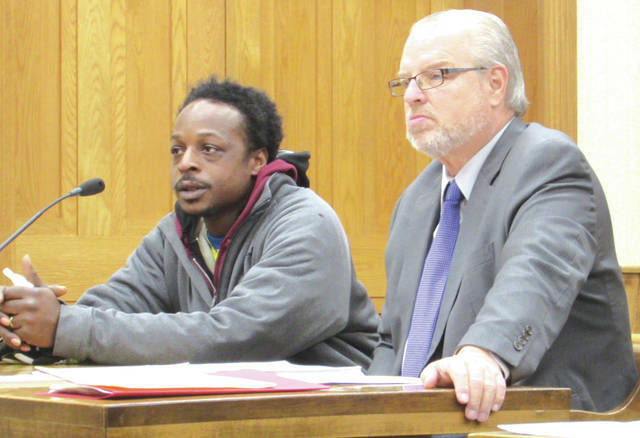 GREENVILLE — Darke County Common Pleas Court heard cases involving drugs, theft, probation violation and driving under suspension Monday. Judge Jonathan P. Hein presided. Richard James, 28, of Greenville, was sentenced to 60 months probation on charges of aggravated possession of methamphetamine, a fifth-degree felony carrying penalties of up to 12 months incarceration and a potential $2,500 fine. In addition to paying court costs, abstaining from drugs and alcohol, and completing 100 hours of community service, Judge Hein ordered James to seek and maintain employment and to provide the Darke County Office of Adult Probation with proof of earnings within 30 days. James was released approximately six weeks ago, after serving 84 days in the Darke County Jail. The defendant said he’d had a difficult time securing employment, as he was in the process of acquiring documents needed to obtain a state identification card. James, who was born in Brooklyn, said he was “being patient” as the process for requesting the documents rolled on. Hein gave the defendant 30 days to get his employment situation worked out. Billy Baker, 45, also of Greenville, entered a guilty plea to charges of aggravated possession of meth. An additional charge of driving under suspension, a first-degree misdemeanor, was dismissed in accordance with a plea agreement between Baker and the Darke County Prosecutor’s Office. Baker is currently on probation for another offense in Montgomery County. When asked to recall the name of the judge in that case, the defendant initially was unable to comply. Hein accepted the defendant’s guilty plea. His next court appearance is a sentencing hearing, to be held March 4. 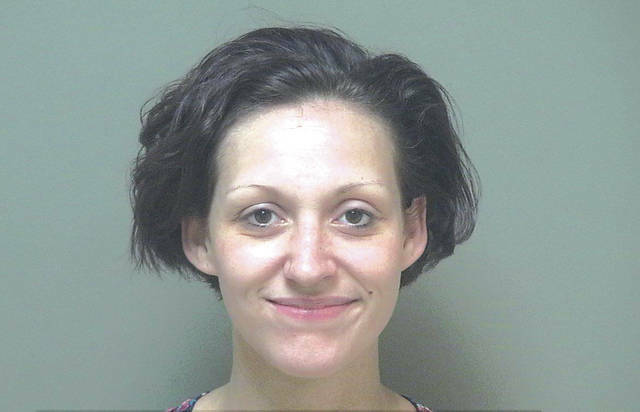 Paige Roberts, 27, of Ansonia, appeared via teleconference with the Darke County Jail facing accusations of violating the terms of her in lieu of conviction agreement. Roberts was ordered to pursue treatment in lieu of conviction on charges of theft and passing bad checks, both fifth-degree felonies, in 2015. Under the terms of the ILC, Roberts entered a guilty plea to the charges which the court then agreed to hold in abeyance, meaning that if she is found guilty of violating, she could be incarcerated without benefit of further court proceedings. Roberts appeared in March of 2018 facing similar accusations. 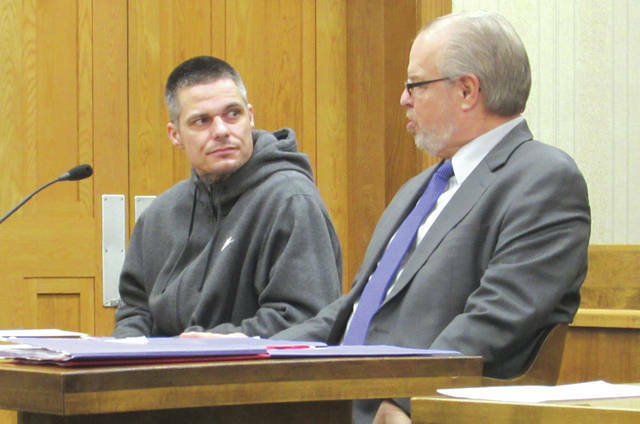 At that time, Darke County Adult Probation Officer Ty Thacker told the court that Roberts had failed to pay restitution, as well as failing to supply the probation department with proof of employment. Thacker appeared again Monday, this time saying Roberts had failed to report to the probation office for scheduled meetings, complete community service hours or to complete drug treatment programs at multiple institutions, as well as incurring further theft charges in Mercer County. Attorney David Rohrer entered a denial of the allegations on Roberts’ behalf. Her next court appearance is a probable cause and disposition hearing, to be held Feb. 11. This entry was tagged Aggravated possession of methamphetamine, Ansonia, Brooklyn, Common Pleas Court, Community service, court, Darke County Common Pleas Court, Darke County Jail, Darke County Office of Adult Probation, Darke County Prosecutor’s Office, Driving under suspension, drugs, felony, Greenville, jail, Mercer County, Meth, Methamphetamine, Montgomery County, Probation, Theft. Bookmark the permalink.